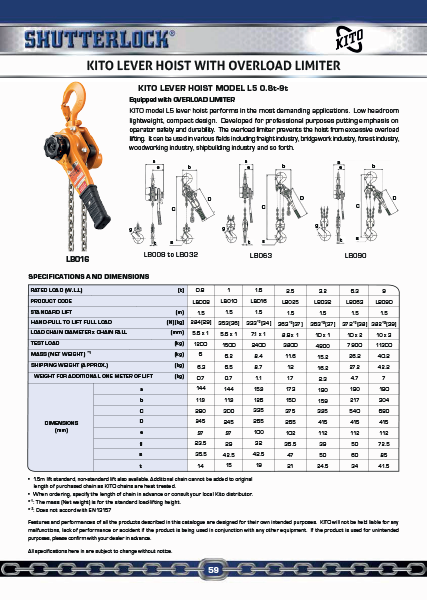 is required, specify required lifting height when ordering. 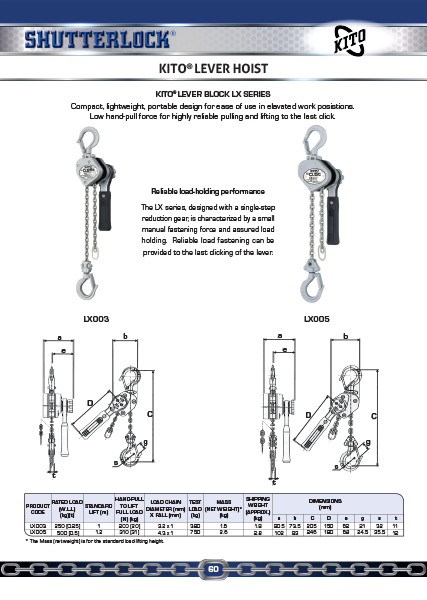 As Kito chains are heat treated, splicing of the load chain is prohibited. When ordering, specify lifting height. 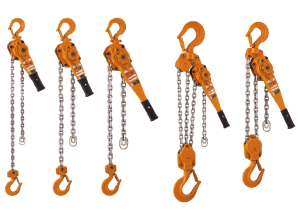 Chain Falls varies on each capacity. Overload limiters available upon request. length of purchased chain as KITO chains are heat treated. 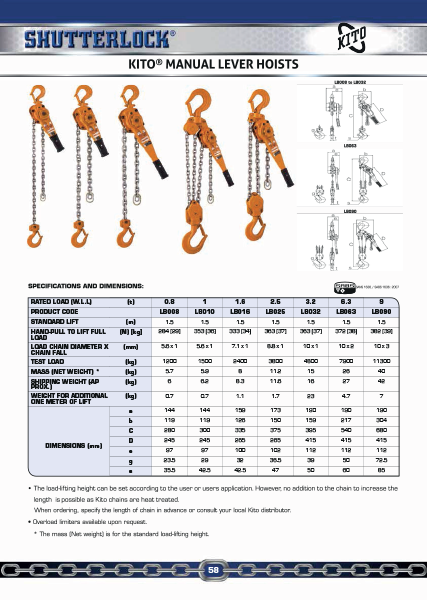 When ordering, specify the length of chain in advance or consult your local Kito distributor. *1: The mass (Net weight) is for the standard load-lifting height. purposes, please confirm with your dealer in advance. All specifications here in are subject to change without notice. Compact, lightweight, portable design for ease of use in elavated work posistions. 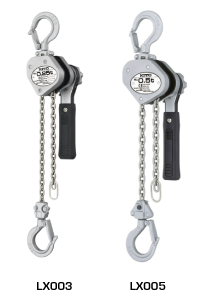 Low hand-pull force for highly reliable pulling and lifting to the last click. provided to the last clicking of the lever.